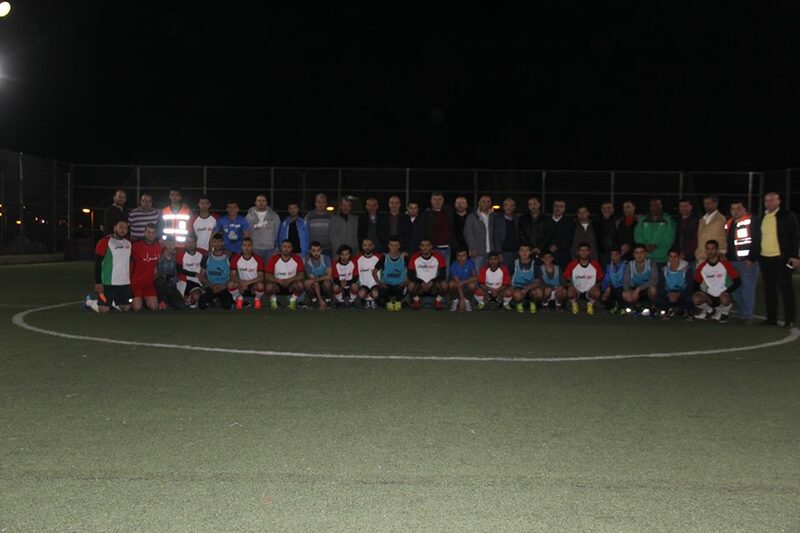 Burj Al-Luqluq Social Center Society started, on Sunday 26\02\2017, the Jerusalemite Neighborhoods Tournament “Families Edition” within Shababek Ya Quds project funded by the Jerusalemite businessman Munir Al-Kalouti under the supervision of the Welfare Association. The event was organized at Burj Al-Luqluq with the attendance of a number of Jerusalemite specialist including Abdallah Al-Kiswani, Ahmad Surur, Khamees Edkaidek, Naser Qaws, Amjad Abu Assab, in addition to Alaa Al-Hadad, Nu’man Edkaidek, Muntaser Edkaidek, Nihad Zughaiyer and Burj Al-Luqluq Board Members; Naser Gaith, Iyad Za’tari and Imad Shalloudi. The tournament started with a game beween Idrees and AL-Ghoul families and ended by 5-2 for Idrees family. This game was followed with a game between Ibdah and Al-Qaq families in which Al-Qaq scored 3 while Ibdah scored only one goal. At the end of the day, Burj Al-Luqluq organized a dinner for the families where they enjoyed dinner and discussion.